Atlantis Rising by T. A. Barron. An Atlantis Trilogy Book. Review: Have you ever heard of the mysterious place called Atlantis? Of course you have, but do you know how it came to be? Most likely not. In Atlantis Rising written by author T. A. Barron, readers learn about Atlantis before it became Atlantis. Atlantis rising is the story of one snot-mouth, bubble-blowing blue monkey, a stubborn yet sufficient girl, and the boy that causes it all-Promi. Left to fend for himself at five years old with nothing from his childhood besides a small snippet of a haunting song, Promi is forced to be his own family. Growing up with no food, Promi becomes City of Great Power's number one thief, but when he decides to steal the divine monk's pie, he is thrown into the worst dungeon, and his life is changed. He is told of a prophecy of a man or woman with a soaring bird birthmark that will bring the end to all magic. As you can guess, that is him. Promi is dragged into battles of other words thanks to the stubbornness of Atlanta, a girl who is trying to save the forest and who eventually brings the end to all magic, but its not the way you would think. Atlantis Rising is intended for third grade and above. Fairytale lovers and magic seekers will enjoy this book due to its many magical adventures like traveling into the spirit realm on a giant silver winged lion or a blue bubble blowing monkey barking insults in your ear. Realistic fiction readers might also find it a little interesting because it includes realistic hardships in life that are made fanatical such as trying to protect a forest, going through a swamp where people disappear, and living alone. If you want a love story Atlantis Rising is that too. Atlanta and Promi have to go through everything together, and even in the end Promi will try to give his life up for her and the new city of Atlantis. For anyone who wants danger there is certainly that as well. The high priest has poisoned almost all the forest and now he was done the same to Atlanta as well. Anyone with a thirst for adventure will very much enjoy this book. We would like to thank T. A. Barron for providing a copy of Atlantis Rising for this review. 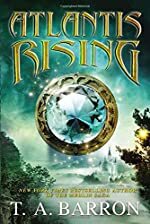 Have you read Atlantis Rising? How would you rate it? Relic by Heather Terrell. A Books of Eva Novel. Review: Have you ever wondered about the future? 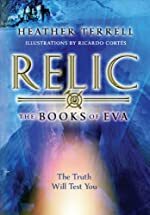 In Relic, by Heather Terrell, Eva is not an ordinary girl; her dad is the Chief Archon that rules over the New North. The New North is the only city after the pre-healing or our time. This book is part of the series called Books of Eva. In Relic, Eva's brother dies when he falls off a cliff. He was supposed to do called the testing where you race in the middle of the snow lands to become the chief Archon. Because her brother died she needs to do what no maiden has ever done before; she needs to do the Testing. The testing consists of three advantages. Advantages are the three stages of the race. The last advantage determines if you are the leader. Eva faces the race of her life as she strives to win and make her brother proud. Relic is an awe-inspiring book filled with action and adventure. I like this book because of the plot that keeps you wanting to read the book more and more. The plot is filled with adventure and action. When Eva finds the Relics, she finds out more about the pre-healing then anyone in her time. Through the chronicle she writes, the reader gets to learn even more. I love the tension that the book has and the interesting artifacts she finds out inside a crevasse. 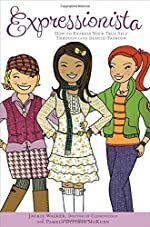 This book is for both a boy and a girl. It has both action and romance that middle-school girls and boys love. Eva is a character with a life so interesting. This book is one of my favorite books ever! We would like to thank Soho Press for providing a copy of Relic for this review. Have you read Relic? How would you rate it? Merlin's Shadow by Robert Treskillard. The Second Installment of the Merlin Spiral Series. Review: You have heard the tales of the Sword in the Stone and King Arthur and the Knights of the Round Table, but did you ever wonder how it all began? You can discover more in Merlin's Shadow by Robert Treskillard. This is the second book in the Merlin's Spiral series. Join Merlin and his friends in this exciting prequel to the stories we already know and love. In book one, Merlin's Blade, we learned how the Stone was discovered to have special powers. The Arch druid, Morganthu wants to use the Stone's powers of enchantment on the Britons to bring his own people to power. He creates an army to take out Arthur's father, the High King. Once the king is murdered, Merlin must fight to protect his infant son, Arthur, from those who wish to take control. Merlin drives a sword into the Stone, stopping it from further corrupting the minds of the Britons, and then escapes with the help of his friends. Merlin's Shadow starts from this point. Merlin is being hunted by Vortigern, a Battle Commander, who is trying to kill Arthur, and by his sister, Ganieda, who blames Merlin for the death of their parents. Merlin and his friends must find a way to keep Arthur out of harms way and head to a fortress to hide out. Along the way, they are captured and enslaved. They are taken to King Atle's fortress. Merlin acts as his grandson and King Atle thought it was true. A feast was near and during the feast King Atle kidnaps Arthur and takes him to the Land of the Dead for sacrifice. Merlin and his friends escape the locked fortress and start making their way to the Land of the Dead. Can they make it there in time before Atle makes the sacrifice? You will find out in Merlin's Shadow. Merlin's Shadow is an excellent book because the storyline is really good and the characters are just like the old story of Merlin. 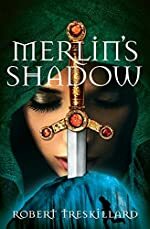 I also enjoyed Merlin's Shadow because it is a perfect plot, and even though at times some of it doesn't make sense, it is a great book. Go to the nearest library and go check out Merlin's Shadow. We would like to thank Blink for providing a copy of Merlin's Shadow for this review. Have you read Merlin's Shadow? How would you rate it? Lara's Gift by Annemarie O'Brien. Review: Have you ever loved something so much you couldn't let go? Everyone experiences this feeling, even Lara, the main character of Lara's Gift. 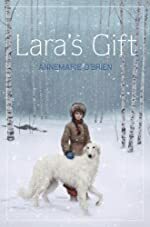 Lara's Gift is written by Annemarie O'Brien. The main character of Lara's Gift is Lara. She has something special that she just can't give up and won't give up. She will try her best to keep it, but there is a chance she might loos that one special thing she has. Lara is a young girl who cares for dogs and loves them, but when her father tells her once she is grown up and married, she can't care for dogs any more because that is a job not fit for women. Lara is upset. She has a dog of her own and enjoys spending time with her dog Zar. Zar and Lara are inseparable. When Lara and her friend Alexander want Zar to go hunting, Lara's father won't let her until he's listened to her beg for so long that he gives in. After the trip, Lara's father announces that he wants to have a son, so that he can pass the dogs on to his son. This devastates Lara especially after her father's wishes come true. Over time, Lara's father sees how much Lara loves the dogs, and in the end he does something shocking that could surprise and impact Lara's future. I liked Lara's Gift because it showed how one girl loved something special to her, and she got to keep it. I found it kind of ironic because there is a saying that's says, "If you love something let it go," and Lara doesn't let it go; she keeps it. Possibly a girl might enjoy this book more than a boy because it shows how one girl doesn't give up on trying to keep something she loved. It gives readers the courage to do something they have always wanted to do. But boys might also enjoy reading it. Lara's Gift is a good choice for a 2nd grader or a 3rd grader. Review written by Danessa (6th grade student). We would like to thank Random House for providing a copy of Lara's Gift for this review. Have you read Lara's Gift? How would you rate it? That's Creepy: Spine-Tingling Facts That Will Test Your Creep-Out Factor by Crispin Boyer. Review: Do you enjoy things that are creepy? Then That's Creepy written by Crispin Boyer is a book with many creepy elements in it. As you ride along with Ethel ET and agent creeper as they travel around the world to the Bermuda triangle and even area 51, you'll be hit with one creepy fact after another. That's Creepy is for any age group who can handle learning about what's creepy! That's Creepy is honestly one of my favorite books that I have read so far, and it is as creepy when it things such as werewolves, UFOs and all other myths are explained. There is absolutely nothing that I don't like about this book because to me it had all the good qualities of a good book and a great topic witch I loved. If you are interested in creepy stuff, you should read this book. Review written by Gavin (6th grade student). We would like to thank Media Masters Publicity for providing a copy of That's Creepy: Spine-Tingling Facts That Will Test Your Creep-Out Factor for this review. Have you read That's Creepy: Spine-Tingling Facts That Will Test Your Creep-Out Factor? How would you rate it? The Broken Circle: Yarns of the Knitting Witches by Cheryl Potter. Book 1 in the Potluck Yarn Trilogy. Review: The Broken Circle by Cheryl Potter is book one of the Potluck Yarn Trilogy. The Broken Circle takes place in the "Middlelands," a place full of war and fear. The Potluck Witches, who put their magic into their yarn and the clothes they make from it, are persecuted, but a growing darkness motivates them to join together to summon their magic to fight evil and save their world. Although I sometimes felt like some deeper explaining was needed, there were times in this book where I was partially interested. Even though I didn't enjoy The Broken Circle, I'm sure that a girl would be interested in reading it. Like I said before, I found The Broken Circle confusing at times. Such as the beginning, I didn't know who any of the characters were and why they were significant to the plot, in fact, at times I didn't really understand the plot. The author didn't explain these two very well. However, as the book progressed, I began to slowly understand. I would defiantly not recommend this book to any of my friends, because the style is more for teen girls. However, when the crystals were thrown in the air, I almost felt as if I was there. 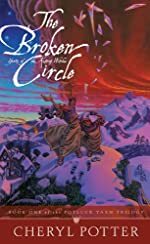 So in the end, The Broken Circle wasn't the perfect book for me, but would most likely be enjoyed by other audiences. We would like to thank Strategies for providing a copy of The Broken Circle: Yarns of the Knitting Witches for this review. Have you read The Broken Circle: Yarns of the Knitting Witches? How would you rate it? The Lesson by Suzanne Woods Fisher. A Stoney Ridge Seasons Book. Review: What's that, a flying red scooter? Probably M.K. from the wonderful new book The Lesson. It is by Susanne Woods Fisher and is the third book in the Stony Ridge Seasons series. M.K. is an Amish girl who wants to see the world and get away from the Amish lifestyle. One day, she accidentally ran over the teacher to the local school with her scooter and has to take her place. She has no idea how to teach and doesn't even try. Chris is a young man coming to Stony Ridge with his younger sister Jenny to have a better life. Their caretaker, Old Debra, passed away, his dad left him when he was young and his mom is in rehab again. He moved to his Grandfather's old house, which needs a lot of work. He needs to stay quiet for only a few more months, then the house will be his and he will be 21. What happens next? You'll have to find out! I really liked the book, The Lesson. It has adventure, romance, and mystery that will keep you wanting more! The storyline goes back and forth between Chris and M.K. 's story and it adds a nice touch to it. It is 304 pages and is challenging for the number of pages. It is good for kids ages 10 and up. I would say that only girls would like it because there is romance, the main character is a girl, and most boys don't like stories about girls. If you like Little House on the Prairie and Amish books, you will like The Stony Ridge series. There is another book coming soon and there are two other books before this one. 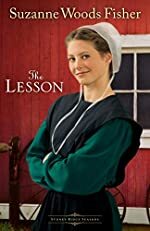 The author also has more books in another Amish series. There are no pictures so you will have to process the story in your head. All in all, The Lesson is a read that will make you wanting more. I hope you love the book as much as I did. Enjoy! Review written by Katlyn (6th grade student). We would like to thank Revell for providing a copy of The Lesson for this review. Have you read The Lesson? How would you rate it? Doon by Carey Corp & Lorie Langdon. Review: I think I'm going crazy," says Veronica. "Oh come on! It's probably just your imagination," replies Kenna. Have you ever seen something that you couldn't believe was real? Did you doubt that it was real, but you kept having this sensation, that tingly sensation that it is right behind your back? It might be real or it might just be you imagination. You are not alone though, because Veronica, one of the main characters from Doon by Carey Corp and Lorie Langdon, believes she hopped on the crazy train, but on the other hand she can never convince herself her "visions" are fake. Can these visions be linking her to something very special in Scotland? Doon is a great fantasy book, with a realistic feel. Veronica is just a normal girl, breaking up with her boyfriend, hanging out with her friends. But in other ways she is different. For example, her parents are divorced, her mom has a vile boyfriend, she has to teach ballet classes while still going to high school, and she starts having visions of a boy named James Thomas Kellan MacCrae IV. Her visions begin right after she and her boyfriend break up. Veronica sees a strange boy standing in the middle of the parking lot at her school. In a soft voice he says, "Don't cry, lass." He is dressed in very unusual clothes; he is wearing a kilt. The her phone rings, and when she answers it, she hears, "The moors of Scotland are callingÉare you coming or not?" 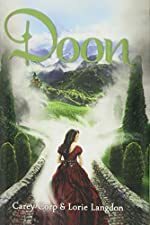 After escaping to Scotland to prove her sanity, she learns of a saying in Scotland that the Brig o' Doon (a famous bridge in Scotland) connects some people to a magical land named Doon. Is the magical world of Doon real? Did the girls have a duty to go there? Will this clear up the confusion started by a strange boy in a kilt? Doon is suspenseful, riveting, interesting, and a great read. A lot of readers could probably relate to Veronica's situation in a home with parents who are divorced, and boy drama. Others can relate to Kenna the other main character who, still mourns over the death of her aunt, like most people after their family members die. The challenging and sometimes more mature vocabulary makes it a good book for middle school and early high school readers. This is a fantasy book, so people that like fantasy would love this book. But it has action, love, heartbreak, and friendship. Over all, Doon is a great book and I would recommend it to all of my friends. 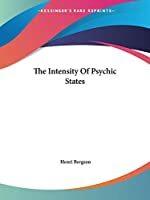 It is interesting and detailed and will keep you reading for hours and hours. Review written by Jamie (6th grade student). We would like to thank Blink for providing a copy of Doon for this review. Have you read Doon? How would you rate it? Skull Creek Stakeout by Eddie Jones. Book 2 in The Caden Chronicles. Review: The good news is vampires aren't real, but the bad news is there may be something out there to get us! 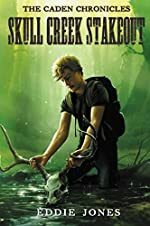 Nick a reporter for the "Cool Ghoul Gazette" thinks vampires are real and he will do anything in these stories to find a worthy news-breaking story, and Skull Creek Stakeout, the second book in the Caden Chronicles by Eddie Jones is no exception. Nick's role as a journalist for the "Cool Ghoul Gazette" is to focus on Vampires. But when Nick is called in to explore a murder mystery, a cold case he is ready to explore. Having to stay in a weird manor with his aunt and meet some odd people is it possible to actually get some work done? He doesn't have a lot of time to pull off this story without a lot of facts and a culprit, But after observing a mysterious man, he thinks he's getting closeÉthat is until another murder twist the plot. Nick just may be in over his head this time. Overall, this is a good book written by Jones. At first, I questioned whether or not I'd actually enjoy this book since I am not the kind of person who likes the entire ghost and vampire nonsense, but this was a good surprise. It turns out that this book has a little bit of everything. Skull Creek Stakeout includes fantasy, adventure and so much more. Even though I had never read books in this series, it did not stop me from enjoying it. Skull Creek Stakeout is good for middle grade readers-particularly boys. It has higher-level words descriptive settings, an exciting climax and so much more! Some people may not like the book because they don't like the supernatural, but give it a try. It's important to try different things. We would like to thank Zonderkidz for providing a copy of Skull Creek Stakeout for this review. Have you read Skull Creek Stakeout? How would you rate it? Spirit's Chosen by Esther Friesner. Sequel to Spirit's Princess. Review: In the country of Japan, where war rages, clans fall, chieftains die, the Ookami finally make their mark on the Matsu clan. 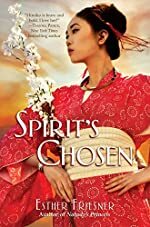 In Spirit's Chosen written by Esther Friesner, a young shaman and chieftain's daughter, Himeko finds her village in ruins. While she was away on a shaman trip with her sister of her heart, Kaya, the wolves attacked her land and captured most of the Matsu women and children. She returns to her family and finds her little brothers, Sanjirou and Noboru have been taken along with her step mother Emi and most of her clan. Her father and her older brother Aki are dead, and her mother has gone insane. Now the young princess must go on her life's adventure, but she is not expecting the wolves to be waiting for her. She and Kaya are captured and enslaved to Lord Ryu. Himeko must find her way out of the wolves' den and back to her family, before her mother will be put to death. Spirit's Chosen is recommended for third grade and up for higher-level words and meanings. Most would enjoy this book because of its daringness like traveling into the greatest enemies territory, fighting the mysterious Oni, and trying to escape from the Ookami. It also is a sad love story where Himeko's new love has freed her from captivity, but was killed while saving Lord Ryu during the Golden Dragons Dance. Some might also enjoy learning the path of Himeko with the gods and other Shamans. During Spirit's Chosen Himeko travels into the spirit world many times, finding the bones of Oni, seeing her spirit prince, and talking to the shinning goddess. We would like to thank Random House for providing a copy of Spirit's Chosen for this review. Have you read Spirit's Chosen? How would you rate it? Expressionista by Jackie Walker & Pamela Dittmer McKuen. Review: Do you love clothes? Then Expressionista is a perfect book for you. Expressionista written by Jackie Walker & Pamela Dittmer McKuen is all about clothes and fitting in. This is a nonfiction book that lets you look into the world of fashion. Expressionista is all about how to express yourself through fashion. There are 5 main personas. Personas are types of fashion aspects. You will learn a lot of information about fashion from this book. All throughout the book there are quotes from all of your favorite pop, stars such as Selena Gomez, Taylor Swift, Carly Rae Jepson, and Lady Gaga. Lastly this book is able to help you understand what you need to do to like yourself and the clothes that you wear. If finding your true fashion is exciting to you than read the book! Expressionista didn't really capture my attention. Some parts of Expressionista were good and kept me wanting to read like when it says the 5 types of personas I wanted to learn more about them. However I wouldn't recommend this book unless you're all about fashion and clothing. If you're the type of person that takes 2 minutes in the mourning to pick out your clothes, then Expressionista isn't the book for you. It's for serious fashion girls who might love reading what their favorite pop stars have to say about fashion and how the most of what's in their closet. Review written by Sydney (6th grade student). We would like to thank Beyond Words Publishing for providing a copy of Expressionista for this review. Have you read Expressionista? How would you rate it? Smith: The Story of a Pickpocket by Leon Garfield. Review: Heroes are handsome, charming, and good people, right? Wrong! In Smith the Story of a Pickpocket by Leon Garfield a dirty pickpocket actually saves the day and helps people. 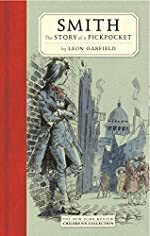 The main character Smith is an interesting, dirty, and a daring boy who is twelve-years-old boy who lives in the busy and winding streets of eighteenth century London. Smith has two sisters Miss Fanny and Miss Bridget that tease him. One day he quietly and cautiously follows a man with a noisy pocket, and is lead into a whole heap of trouble. Smith swiftly picks the man's pocket and quickly escapes. Afterwards Smith hides in a doorway and sees two men murder the man and search his pockets. After so he runs into a blind man who is somehow connected to this but Smith doesn't know it and aids the man. What was so important that they a man's life? What has Smith found gotten himself into? What role does this blind man play? Can Smith escape or will he find himself dead like that man? All these questions and more can be answered when you read Smith the Story of a Pickpocket. Smith The Story of a Pickpocket is a clever mystery and adventure for elementary students. The book has many good points such as the realistic characters that accurately depict life in 18th century London. For example, Miss Bridget and Miss Fanny are annoying and clever sisters of Smith that knit. Plus there's saint Miss Mansfield, who tends to her blind father the magistrate. Not only are the characters interesting, but also it is a fast-paced adventure so you won't be left unsatisfied. It has many twists and turns in the story. An example would be the forever chase between Smith and the two men in the pitch-black night. But keeping up with plot can be challenging, as the book is a little confusing at times. So if you can hang on tight and don't get confused, you would be glued to the story like a cat on a mouse. So be sure to check out Smith The Story of a Pickpocket by Leon Garfield. Review written by Tej (6th grade student). We would like to thank Media Masters Publicity for providing a copy of Smith: The Story of a Pickpocket for this review. Have you read Smith: The Story of a Pickpocket? How would you rate it? 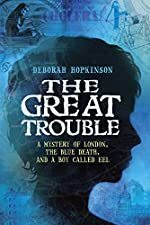 The Great Trouble by Deborah Hopkinson. Review: It all begins with the air filled with pollution, or so I think. Suddenly it finally strikes when Mr. Griggs becomes sick and dies. Then more people die. After investigation, it becomes clear it's not pollution, but instead it's cholera! If you want to find out what disease killed so many and more about this real tragic event, read the nonfiction book The Great Trouble, written by award writing author Deborah Hopkinson. Eel, a mud lark that walks the streets in London has a heap of jobs and knows hundreds of people, including two of his former employers Mr. Griggs and Dr. John Snow. But when he gets fired from his main job at "The Lion" he can only work at his part time jobs with the shoe tailor and the doctor. Then when cholera strikes down Mr. Griggs, Eel knows he must do something. But when Eel gets this crazy idea to study this horrible disease he's putting his life in danger. Finally after reaching the doctor they can get some work done. After conducting the necessary research, he needs, can they get the town board to do what's right or will it be to late? The Great Trouble, I would say has become one of my favorite books! I just loved how Hopkinson made this a first person point of view book. You could really feel the moods throughout the book. I also loved how this was based on a real event; it was really descriptive and I felt like I was even there experiencing it. The Great Trouble includes a lot vivid words, which gave me very clear images of what was happening in the book, which I just loved. The book uses some words that are older and you might need to find definitions, but it will make you have a higher vocabulary. I also learned so many interesting facts in the book. For example they have a building with a few people and they recorded everybody who died. I just find it fascinating how they can record everybody who dies because within a day in the book, over 100s of people die and it is amazing how they can update that every day. Also The Great Trouble is one of those kinds of books that you can't put down. It has a lot for everybody; it has adventure, mystery, and it is also very realistic. I recommend this book to anyone who wants to try something new. We would like to thank Random House for providing a copy of The Great Trouble for this review. Have you read The Great Trouble? How would you rate it?